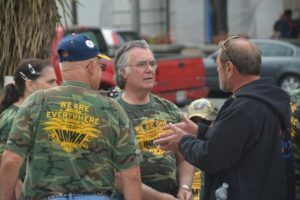 Secretary-Treasurer Kane discusses the consequences of the EPA Clean Power Plan Rule with members prior to one of many UMWA rallies. Secretary-Treasurer Kane addresses the Delegates to the 55th Consecutive Constitutional Convention. 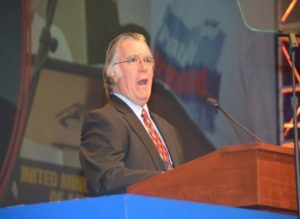 The lack of political support for working men and women were the focus of his remarks. 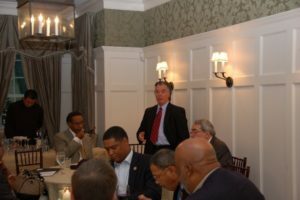 Secretary-Treasurer Kane discusses the legislation to fix UMWA retiree benefits with members of the Congressional Black Caucus.